A clean working environment can boost productivity in a number of ways. Lots of studies have proven that there is a link between office cleanliness and the overall productivity of staff. For instance, research conducted by top universities in the United States revealed that ninety percent of employees reported being more productive and motivated in a clean workspace. The same study reported that seventy-four percent of office workers said they produced a reasonably higher quality of work in a cleaner work environment. As such, it is an undeniable fact that a tidy, comfortable and conducive work office environment can potentially foster a positive atmosphere, allowing workers to focus on their job thus increasing company production. 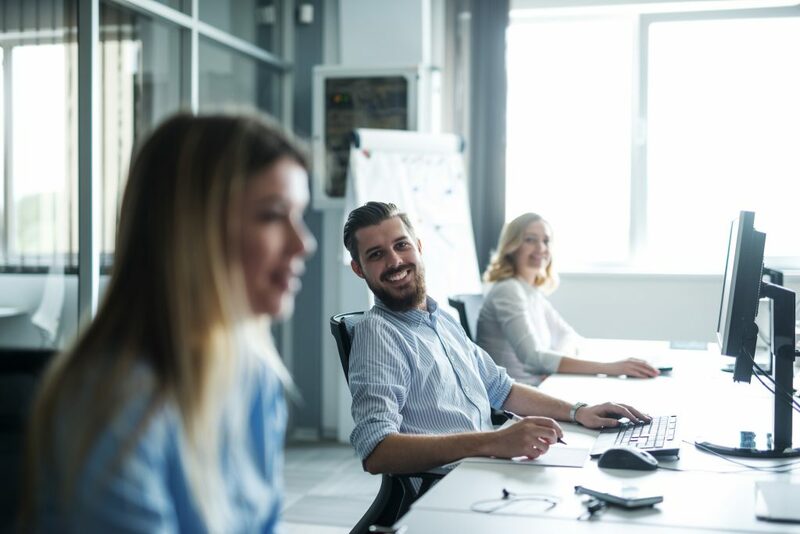 This implies that whether you own a small or a big business, office cleaning efforts must always be made to ensure that your employees work in a happy and healthy environment. In this post, we will highlight how keeping a clean working environment improves overall office productivity. Research has proven that the average worker loses nearly ten days a year at work as a result of illness, a factor that is known to impact on productivity. Office furniture, as well as other equipment, usually serves as ample breeding grounds for a variety of germs and bacteria. What’s more, a standard keyboard can harbour more than 7,000 bacteria at any one time. Apparently, all these factors can play a significant role in the spread of germs as well as illnesses around the workplace. If the office of yours is clean and free from dirt desks, food spillages, and other life-threatening hazards, you can potentially reduce the risk of your employees getting sick. Simply put, the cleaner your workspace, the fewer bacteria and germs there will be, and the more your employees will become engaged, thus improving productivity. Each one of us usually feels motivated and happy after cleaning and organising a cluttered room. A tidy and well-organised working environment can make it somewhat more comfortable for your employees to discharge their duties efficiently. Having a clean work environment can equally make office workers even to enjoy some of the little discouraging things. We covered top 5 actionable office cleaning tips in our previous article. If you didn’t know, even the urge to work and perform better could become a joyful affair with a clean and friendly workspace. This implies that as a business owner, you must take your valuable time, money and effort to ensure that your workspace is extremely clean to enhance the motivation and lift the morale of your employees. When it comes to business, appearance means a lot to your potential customers. There are several ways in which a cluttered, filthy and unorganized work environment impacts on your professional image negatively. Disorganisation shows a poor reflection of you in front of your clients, giving your competitors an advantage. If you can’t manage to keep your office desk tidy, how can your clients trust you to manage their financial accounts? The overall cleanliness of your office matters a lot to your clients. Dirty desks, dishes, clutter, overflowing litter and trash can send a clear message: your company lacks professionalism. Professional business owners must take pride in their jobs, and this translates to how comfortable and clean their workspace is. When clients visit, they usually see your company as a direct reflection of you. Simply put, a messy work environment might make your clients question your ability to provide satisfactory services. They would love to work with a company that can handle their concerns promptly, efficiently and in a fulfilling way. It is only a clean workspace that would convince them that you are reliable. 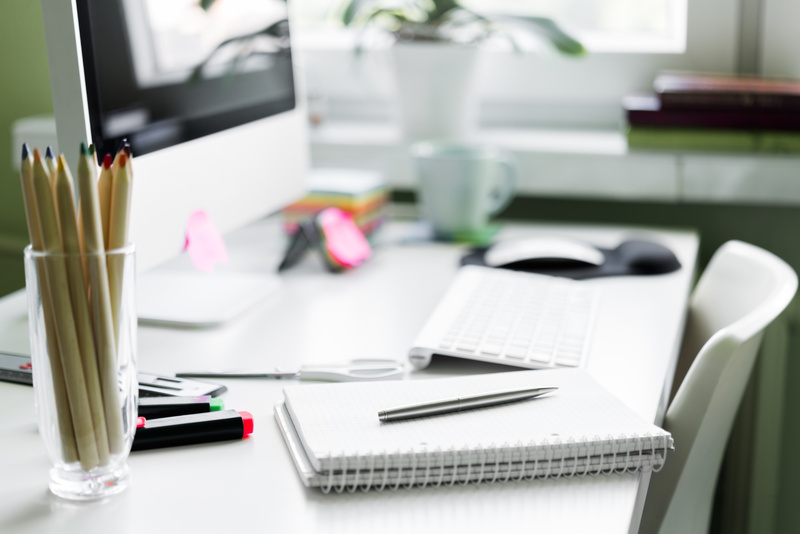 When furniture, office equipment as well as other work areas start to get cluttered, workers will always feel a little bit frazzled. When all these are not dealt with, with time, it can potentially lead to a massive increase in employee stress. Stress can result in a number of health concerns, including drug abuse, sleep problems, fatigue as well as depression. Keeping your office work environment clean at all times will not only reduce but, prevent the incidences of stress attacks among your employees, a phenomenon that can potentially boost business productivity. Will you be more productive working in an office with clean and sparkling windows? The answer is obvious. According to a study conducted by World Building Council, employees with a view onto an outdoor space are up to 30% more productive. Apparently, this may have something to do with the natural light that clean windows bring. Also, your mind becomes focused and calm when you take your eyes from office desktop, view the outside world and enjoy the natural light. You might want to remove all the dust off your ceiling lights to enhance the brightness of your office. Simply put, ensuring that your office lets in the bright lights can help your workers to stay and remain alert and focused. To enhance the overall productivity of your business, you must ensure that your workspace is a clean and pleasant place to be. We have explained to you the various ways in which a clean and suitable environment can boost productivity.